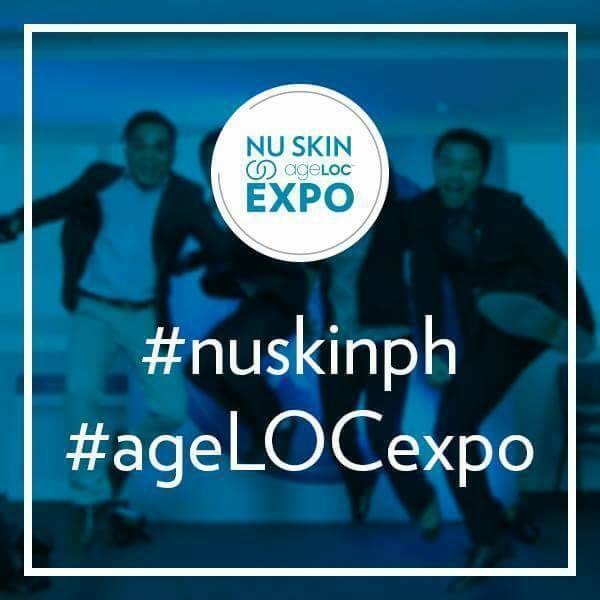 Nu Skin Philippines holds Nu Skin ageLOC Expo on February 10-11, 2017 (11AM-8PM) at Nu Skin Ortigas branch. It's located at 15th floor, Octagon Center, 41 San Miguel Avenue, Ortigas Center, Pasig City. “Nu Skin’s scientific team has identified important functional groups of genes called Youth Gene Clusters (YGCs) that help control aging damages. ageLOC’s proprietary science understands how to reset these youth gene clusters back to its youthful patterns of activity.” says Joe Chang, Ph.D., Nu Skin’s Chief Scientific Officer. Chang frequently mentions he has been in a pot of breakthrough discoveries in the science of anti-aging, but nothing before has ever excited him like the revolutionary findings with ageLOC, the company’s billion dollar breakthrough technology. Backed by over 30 years of anti-aging research, the knowledge and understanding of gene activity and how ageLOC can reset it, are then applied in the development of proprietary, innovative, safe and effective products that help you see the younger version of you again — paving the way for several award-winning products from the ageLOC brand. 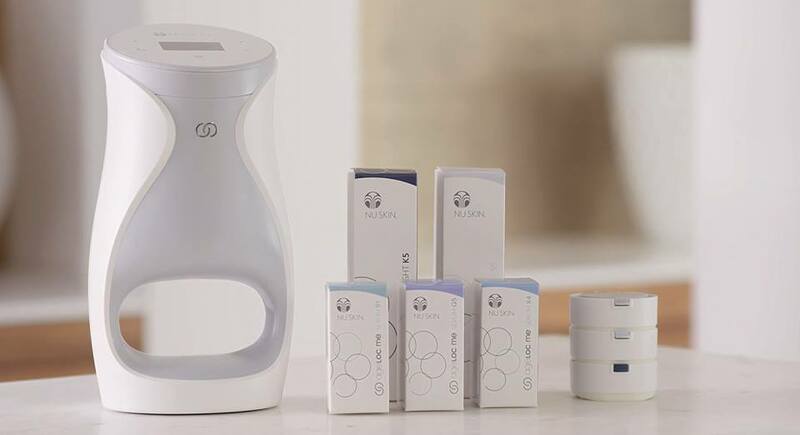 With its latest finding in the skin care industry, ageLOC science produced a luxurious antiaging skin care system that is unlike anything the skin care industry has seen before. Brilliant yet simple to use, ageLOC Me delivers five powerful anti-aging products, custom selected from about 2,000 possible regimen combinations. 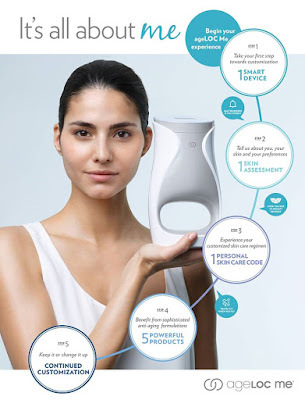 By taking a skin assessment test that determines your unique skin care code, ageLOC Me will deliver the perfect regimen specially made for you — conveniently and precisely. Giving you the younger version of yourself, ageLOC Y-Span targets our innate ability to resist aging at its source. ageLOC Y-Span is an anti-aging food supplement formulated with ingredients carefully selected for their remarkable ability to impact gene expression. These key ingredients help revitalize your aging defense mechanisms and are designed to promote your youth span—the years where you can enjoy a life of being more active, energetic, and healthy. Start and end the day right with ageLOC R2, Nu Skin’s dietary supplement formulated to promote healthy Youth Gene Cluster (YGC) expression related to cellular purification and cellular energy production toward a more youthful time. It also supports the body’s ability to neutralize and remove metabolic toxins and cellular waste. AgeLOC “R-Squared” helps protect and fortify cells against damage from external toxins by improving the body’s own protective mechanisms making you feel younger and more vibrant-renewed and recharged. Presenting Nu Skin’s breakthrough weight management and body shaping system, based on highly innovative gene expression science that unifies the mind and body—for a leaner, younger looking you. Stay motivated as you work toward your goals; with this plus the right nutrition and the right exercise, you can definitely achieve the body that you’ve always wanted to have. 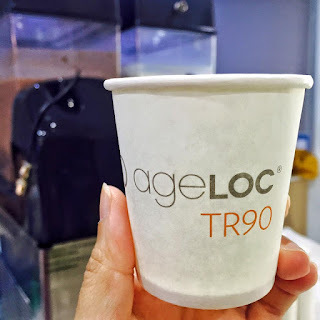 This system features a system of powerful products, namely: ageLOC TR90 Jumpstart which resets your body’s balance in just 15 days and can be the perfect push to get your primed and ready for success; ageLOC TR90 Complex which promotes healthy metabolism and maintains lean muscle; ageLOC TR90 Cntrl which helps control your appetite, reduce food cravings and support a positive mood and mindset for enhanced willpower; and ageLOC TR90 Trimshake that aids to control calories, and also a great source of the highest quality protein that your muscles need. Nu Skin’s Tru Face Essence Ultra changes the way your skin ages with our revolutionary anti-aging science, targeting the sources of aging that lead to the loss of firmness. Formulated with the power of Ethocyn, and a proactive antioxidant network that contours the skin and helps in preventing free radical damage. Featuring a powerful lineup of four products: ageLOC Gentle Cleanse & Tone, ageLOC Radiant Day SPF 22, ageLOC Future Serum, and ageLOC Transforming Night, ageLOC Transformation is Nu Skin's most advanced anti-aging system ever, delivering unsurpassed anti-aging benefits. This complete skin care system cleanses, purifies, renews, moisturizes, and reveals younger looking skin in eight ways—for a more youthful, healthier looking you now and in the future. An at-home spa that is small, smart and powerful, the ageLOC® Galvanic Spa features patented, self-adjusting currents and interchangeable conductors for the face, scalp, and body. It works synergistically with specially formulated Nu Skin products, facilitating the transport of the products’ key ingredients for optimal performance: the ageLOC® Galvanic Spa Facial Gels restore the skin’s natural vibrancy by removing impurities: Tru Face Line Corrector helps smoothen the appearance of fine lines and wrinkles; Galvanic Spa Body Shaping Gel helps reduce the appearance of cellulite; and Nutriol Hair Fitness Treatment helps revitalize and promote healthy, abundant looking hair. The ageLoc Dermatic Effects hydrates and contours the skin, increasing cellular turnover that is necessary for renewing the skin and returning it to its natural radiant texture. ageLOC Body features three powerful products: ageLOC Galvanic Body Spa, ageLOC Body Shaping Gel, and ageLOC Dermatic Effects. Used together, the ageLOC Body products work synergistically to provide new scientific breakthroughs for contouring, smoothing, and firming your body's appearance—all in a luxurious spa experience at home.